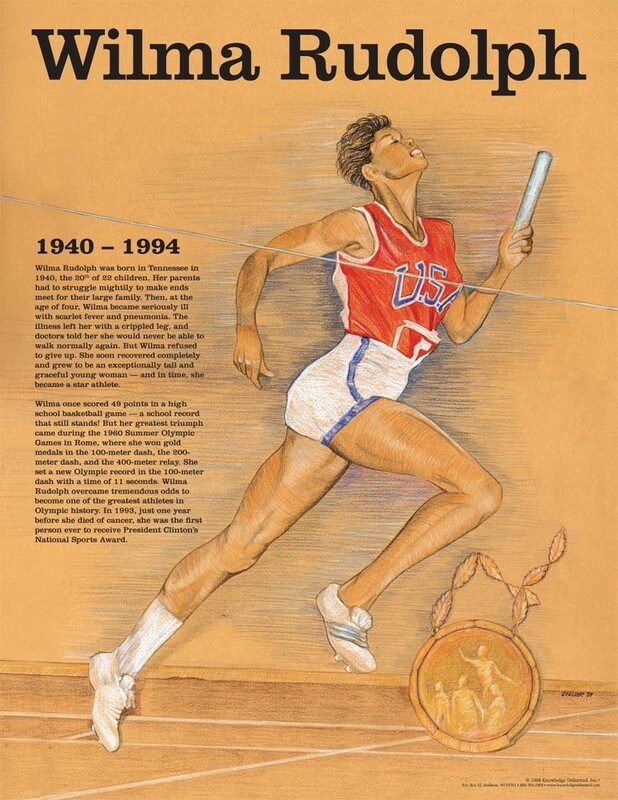 This educational poster of the great African American athlete Wilma Rudolph features a stunning illustration of her, as well as biographical text detailing her life and accomplishments. 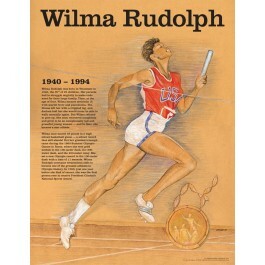 Wilma Rudolph's story is one of incredible triumph over seemingly insurmountable odds. She grew up the 20th child in a family of 22 children. At age four she became seriously ill with an illness that left her with a crippled legg. She was told she would never walk normally. But she did, and she became a star athlete, In 1960, she won three gold medals in track and field events at the Summer Olympic Games.